For a long time, telelvision in India was a typical case of all dressed up and nowhere to go. You had brought and mounted on yours walls the latest LCD or LED and plasma television sets, contemptuously told the cablewala to take a hike with his spider's web of rooftop wiring and triumphantly installed a dish to bring the TV set to life. "It's hi-def, full 1080P," you then informed an envious neighbour. All good, except that there was no hi-resolution feed flowing through the cables to your display. Until recently-when DTH companies started providing HD channels. Then you realised the true worth of the Full HD capabilities of your TV set with pictures in which the sharply defined emerald eyes of the heroine pierced you right in the heart. HD pictures are sharp and clear, enough for you not to lose the contours even when your eyes are close to the screen. HD broadcast also facilitates digital sound transmission and you get a movie-theatre experience through a good 7.1 audio system attached to your TV set. In HD broadcast in India (1080i), there are 1080 rows of pixels that create a dense picture in which more details are available (compare with standard definition of 480 rows of pixels). For the best pictures, the original content has to be shot and edited in hi-def and then broadcast to HD-receiving TV panels via an HD-capable set-top box. And this is where some confusion has arisen. DTH companies are out to gain customers and are peddling their fare with subtle twists of truth. So while some claim to provide the largest number of HD channels, others counter this by saying they provide "asli" HD channels. Both the camps are speaking the truth. Some companies upscale normal definition content close to HD levels, while the "asli" camp is speaking of content entirely created using Full HD standards. Imagery with upscaled definition may not entirely satisfy all viewers and may be accompanied by a bit of cropping of the original pictures. That is why the "asli" proponents also tom-tom their offerings as true HD in true 16:9 aspect. All HD channels require you to have a special set-top box that receives hi-def signals and routes them to the display panel via an HDMI cable. Most of the companies today also offer HD video recording set-top boxes (DVR). Sun TV was the first company to provide HD broadcasts. DishTV, Tatasky, Airtel, Videocon, Reliance followed suit and today their DVRs can record, pause or rewind TV programmes. Videocon was the first to provide recording of 3D content on its boxes. The final truth: the best HD pictures will be provided by true HD channels. Of these, the ones common all across the country are the Star channels (Star Plus, Star World, Star Gold, Star Movies, Star Cricket), ESPN, Discovery, National Geographic and Movies Now. These channels cost the subscriber around Rs 65-75 per month. More media companies are likely to plump for the HD format (the Zee channels look set to make the jump next), making television programmes a feast for the senses. Here is what the various DTH companies are offering you, both in HD and standard bouquets and what these cost you. TRUE HD: This is content in 1080P resolution created using Full HD standards. There are a handful of channels that come in this format. The pictures are absolutely detailed and clear, plus the audio is the best that can course through your TV. True HD resolution also makes it possible to experience 3D imagery. Current HD channels in this category are Star Movies, Star Plus, Star World, Star Gold, Star Cricket, National Geographic, Discovery, ESPN and Movies Now, plus some regional channels. UPSCALED RESOLUTION: Content created using standard definition format can be upscaled by the TV or set-top box to HD levels. However, this can erode the quality of the pictures. If some DTH company is offering you, say, 200 HD channels, you can be sure most of them are upscaled from standard def. HD READY: This is picture resolution of 720 rows of pixels, less than Full HD (1080P), but higher than standard def (normally 480P). If you look around carefully, you will find that many manufacturers sell their TVs as hi-defintion sets even when they offer only 720P (now you know why some TV sets cost less than others of the same size). 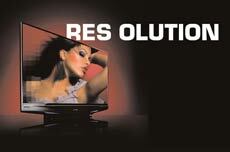 Ensure your TV is capable of 1080P resolution for a real HD experience. DVR: Yes, 500 GB capacity, 625 hours of recording (estimated). OTHERS: Tatasky is reputed to have the best customer service among DTH companies. Of late, however, perhaps due to the growth of its subscriber base, its customer service is not as prompt as it used to be. COST OF BASIC PACK: Rs 1,339 for 3 months in North (Value Pack), Rs 1,490 for 5 months in southern states. OTHERS: Sun Direct was among the first to offer HD programming. In addition to the true HD channels, it also broadcasts some regional channels in HD. DVR: Yes, 160 GB, 200 hours of recording (estimated). OTHERS: Offering among the most economic options, Videocon d2h also has the most number of true HD channels. It was also the first to come up with a DVR with 3D recording capability. OTHERS: Among the first to launch DTH services in India, it provides an enviable number of channels and has a special service in which its channels can be accessed in a car. People, however, have complained about its lackadaisical customer service. DVR: Yes, 350 GB capacity, 550 hours of recording (estimated). OTHERS: Good customer care service. Also offers in-car access.